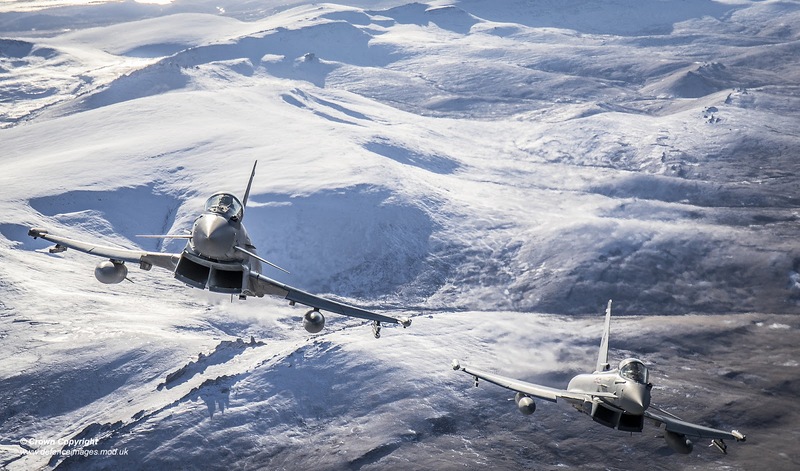 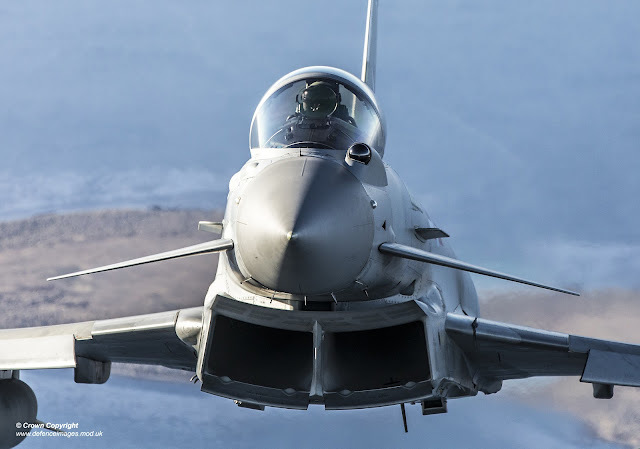 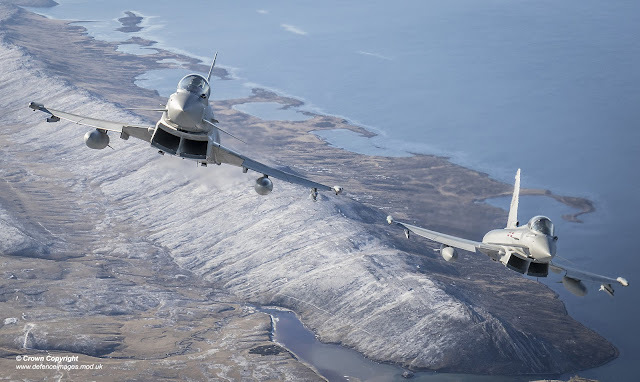 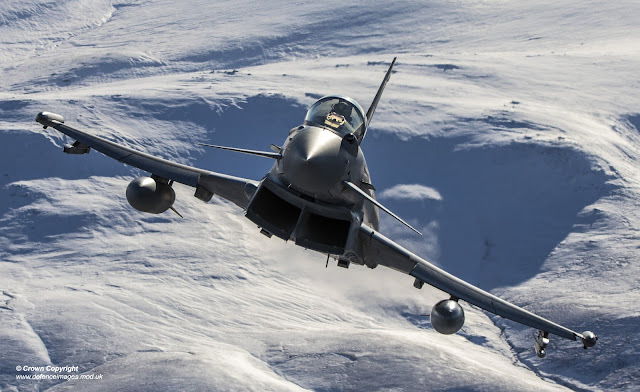 Pictured is a 1435 Flight Typhoon FGR4 flying over West Falkland island during a routine training flight. 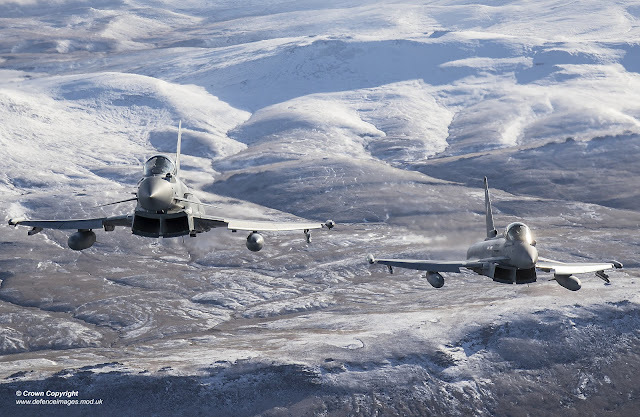 The most recent purpose-built airfield in the RAF, Mount Pleasant was opened in 1985 to establish a fighter and transport presence in the Islands. The RAF provides key elements of the forces that Headquarters British Forces South Atlantic Islands use to ensure the security of the Falklands, the South Sandwich Islands and South Georgia. 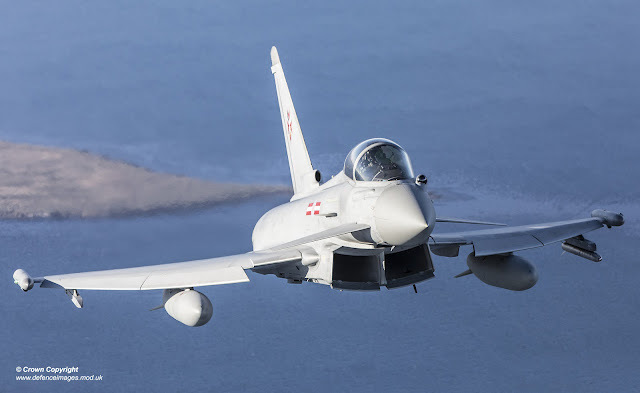 Not only through the air bridge from RAF Brize Norton to Ascension Island and onwards to the Falkland Islands, but also through deterrence patrols across the immense area between the islands.